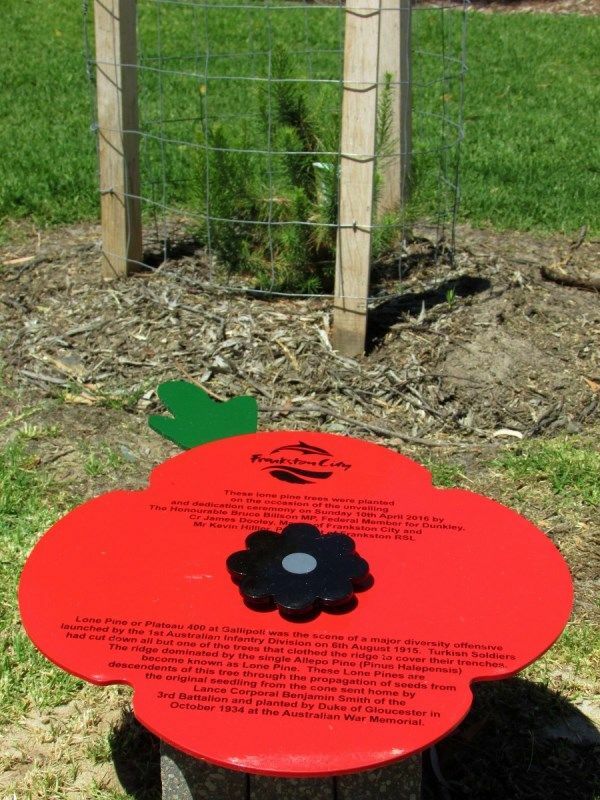 Pine trees, planted at the unveiling and dedication of the war memorial, commemorate those who served in World War One. 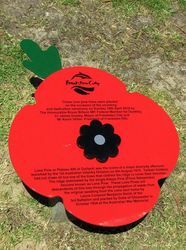 Lone Pine of Plateau 400 at Gallipoli was the scene of a major diversity offensive launched by the 1st Australian Infantry Division of the 6th August 1915. Turkish soldiers had cut down all but one of the trees that clothed the ridge to cover their trenches. The ridge dominated by a single Allepo Pine ( Pinus Halepensis) became known as Lone Pine. 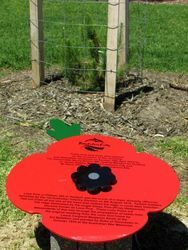 These Lone Pines are descendents of this tree through the propagation of seeds from the original seedling from the cone sent home by Lance Corporal Benjamin Smith of the 3rd Battalion and planted by the Duke of Gloucester in October 1934 at the Australian War Memorial.